Thanks to Hi-Shop for the Miniature Vial! Close up of the vial. So recently, I was sent thanks to HiShop a vial of Heaven on Earth - Miniature Vial containing Sweet Orange Essential Oil for reviewing purposes. Small, handy, you can put this item in your bag, or just hang it round your neck. I find that this citrusy scent is useful for those times where you need a refreshing smell of fragrance to refresh your mind. I do believe citrusy scents tend to perk up one's mind when they are tired. Heaven On Earth had decided to take this to practical terms by making a product where people can just bring it wherever they go, by coming out with a miniature vial to contain this precious essential oil. 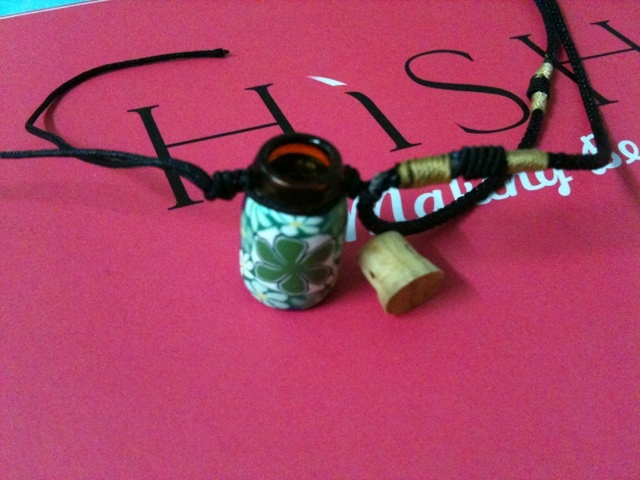 This vial is able to hold up to 0.5ml of liquids, and it's necklace length is a maximum 32" and adjustable. Heaven on Earth advises that this item is best worn as a necklace to get the effects of the essential oils as it evaporates throughout te day. This is the information taken from the HiShop website. "They can be inhaled or applied on the skin, as an alternative treatment for infections, stress and other health problems. They can be added to a bath, diffuser, candles, perfumes, shampoo, soap etc." *For application on skin, it must always be mixed with a base oil such as Grapeseed, Sweet Almond or Jojoba. 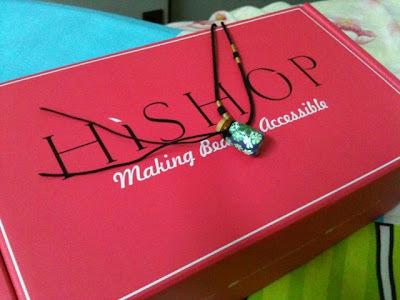 Hishop is offering an exclusive RM20 rebate for all CYB readers. Key in the code 'TRYUSNOW'.